9/15 Cup of Coffee: Pawtucket's bid to defend its Governors' Cup fell short, as the PawSox were defeated by the Durham Bulls (TB), 7-0. After taking the opening game of the best-of-five series, the PawSox lost three straight, struggling to produce any offense against the Durham pitching staff. The promotions of Xander Bogaerts and Jackie Bradley, Jr. to Boston proved costly, as their bats were missed in the lineup. Pawtucket managed only two hits on Saturday, both coming from Jonathan Diaz. The only other batter to reach base was Dan Butler, who was hit by a pitch. The PawSox struck out 11 times and did not draw a walk in the contest. The pitching was shaky too, as Charlie Haeger allowed four runs on seven hits in 2 2/3 innings, and Brock Huntzinger allowed two runs in his 2 2/3 innings of relief. 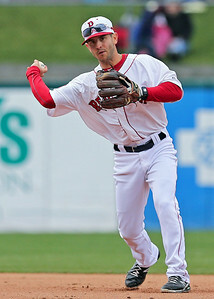 The PawSox never threatened the Durham lead, as they never got a runner past second base. It was another terrific season for the PawSox, who followed up last year's championship campaign with an 80-64 season. The future looks bright for the International League North champions, as they project to have three top-10 prospects in their rotation next year, with Henry Owens ready to be called up later in the season as well.